Crawley Eagles CC is a dynamic urban side with thriving teams representing all ages. 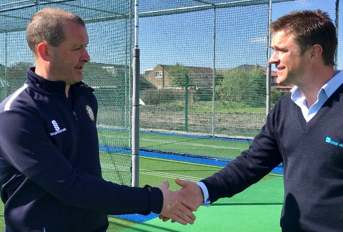 For several years, the club has been looking to install a state-of-the-art non-turf practice facility to support its coaching, and secured funding from various sources including the ECB, the County Cricket Board and through its own fundraising activities. 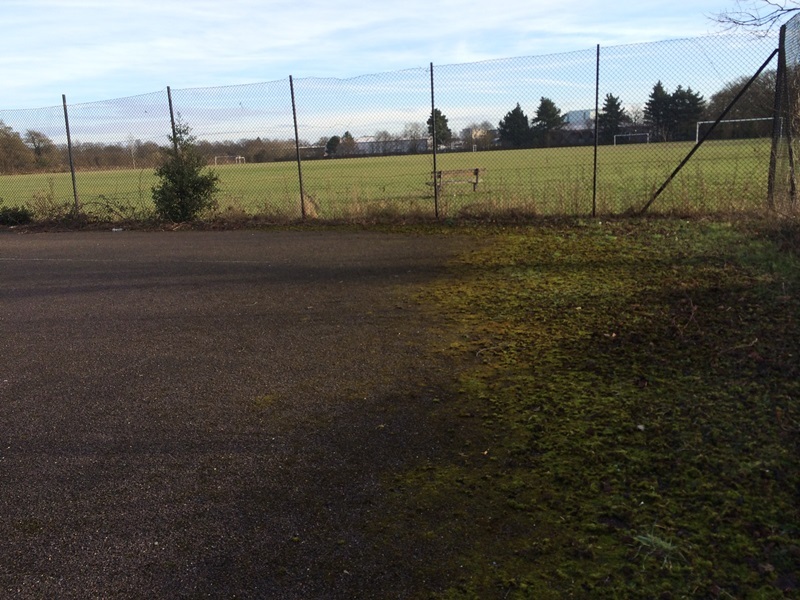 Having negotiated a 10 year lease with the local council on a disused tennis facility and with funding in place, the club was looking for a supplier with experience of working in an urban environment and the challenges it presents. 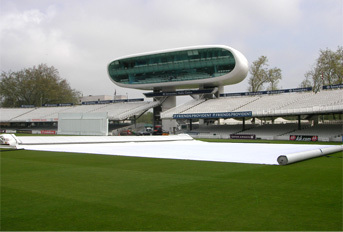 With total-play Ltd having installed several systems in central London and offering a turnkey solution from design through to completion, the company’s ECB approved tp365 system was selected from a number of different suppliers. 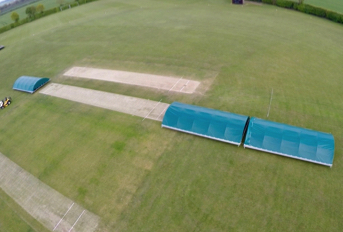 total-play worked closely with the club and the council to secure planning permission for the site, and designed a bespoke system based on the club’s individual requirements. 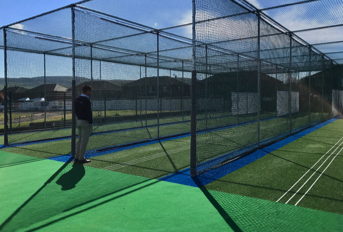 With the aim of providing a secure high quality facility for the club total-play constructed a 2 lane, 33m long x 7.3m wide fully enclosed practice system, complete with new security fence and pedestrian access gate down the middle of the two tennis courts to restrict usage. 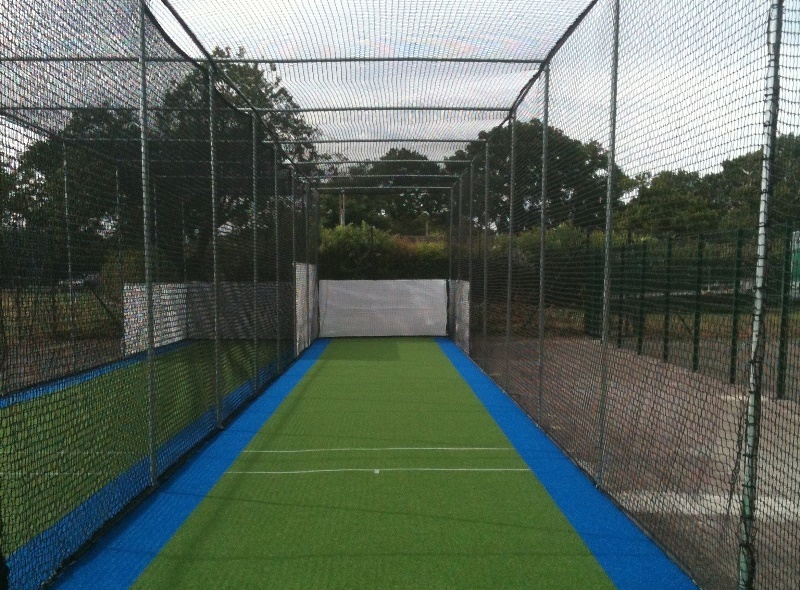 This system was constructed to the ECB approved tp365 system design with two tone blue and green carpets and a new double gate in the existing fence line to enable secure storage of the club’s site screens and covers whilst not in use completing the specification. 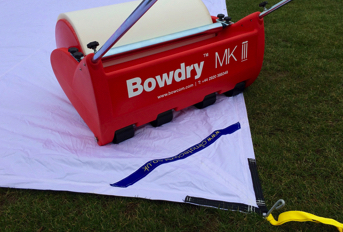 Alongside this, for use by the broader community, a single batting end measuring 13m long by 3.65m wide built; again to the tp365 ECB approved non-turf system design with two-tone carpets. 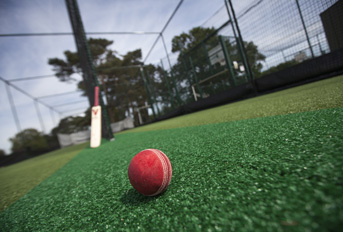 To celebrate the transformation of the old tennis court into a fresh facility for the use of the club and broader community, the club hosted a Cricket Carnival in August 2015. 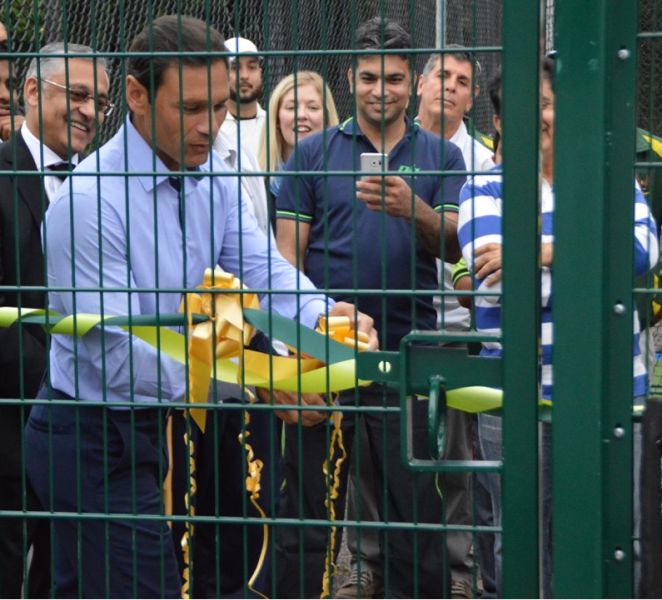 Attended by some 200 people, it saw former England captain Mark Ramrpakash officially launch the facility alongside a 6 aside tournament and a fast bowling coaching session with Sussex players Ajmal Shahzad and Ashar Zaidi in the new nets.